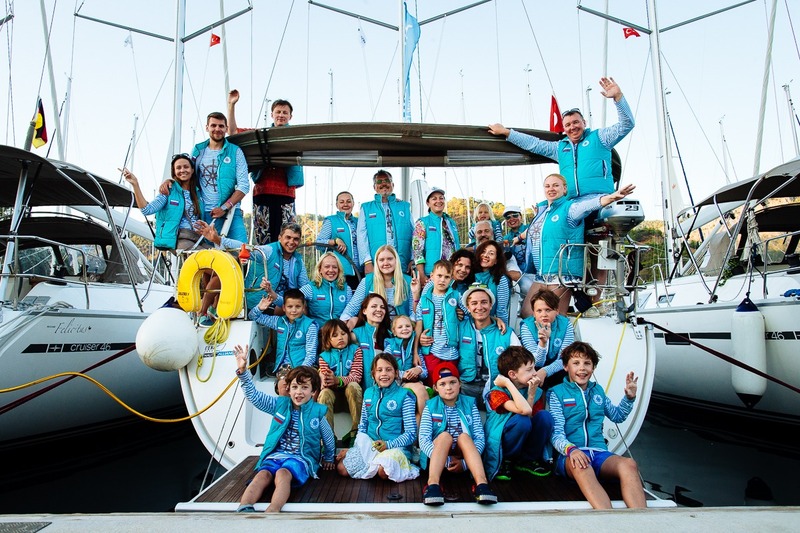 Sailing expeditions and trials, dive regattas, friendly yacht races, skipper school (international system IYT), family yacht adventures with children, traveling around Russia and all over the World, and other kinds of outdoor activities – you can’t list them all. Our secret is simple – everything we do, we do with soul and in a friendly format. Therefore, the participants of our expeditions are repeatedly ready to try new things together. Regatta for friends is also a club of interesting, sociable and full of energy and enthusiasm people, and we invite you to become part of this club. These are our friends, friends of our friends, and we also carefully select new participants, organizing personal meetings and testing motivation. They are people from different fields: top managers of biggest Russian companies, businessmen, entrepreneurs, media people, active mothers, managers and scientists. And one thing is clear – there are no barriers for friendship. Those who once joined Regatta for friends find new friends in real life too. Sergey is a skipper with 5-year experience (more than 40 weeks in coastal and ocean sailing), Regatta for friends founder, certified instructor of IYT (International Yacht Training Worldwide). Nina is an experienced top manager, she worked for 15 years for biggest Western companies, joined Regatta for friends as Vice President, she can not live without sea and Rome. Our team consists of certified skippers, experienced organizers, coaches, professionals, but most importantly – good people who are passionate about their work and yachting. The first time, still without a name, there were two crews and 6 participants in our regatta. We were captains ourselves, and the four sailors never sailed before. We came up with a cool travel format, but each next trip helps to make it even better – we listened, we thought out, we took into account wishes. And in spring of 2015 we already had a team of more than 50 yachtsmen in 9 crews in regatta in France organized by Regatta for friends! Read more about what kind of trips we organize you can see here – “What we do”.